American singer and songwriter Taylor Dayne achieved success with two studio albums during the late 1980's - Tell It To My Heart reached #21 U.S. in 1988 and Can't Fight Fate reached #25 during 1989 - with both reaching 2x Platinum in the singer's home country, and also Gold status in Canada. 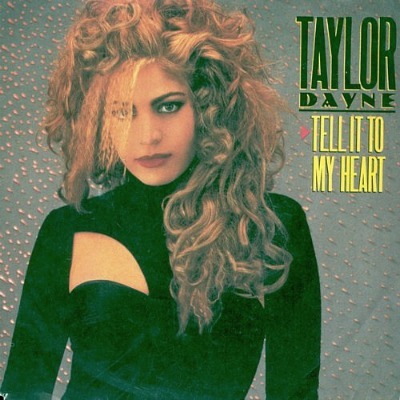 The debut single and title track from Tell It To My Heart album was Taylor Dayne's biggest and most well-known hit in the UK, reaching #3 during early 1988 and becoming the 28th best-selling single of 1988. Her only other UK hit during the 80's was the follow-up single Prove Your Love, reaching #8 in the singles chart. The song was originally released only as a 12" with four mixes and it would be two months before the release of a 7" version. The accompanying video was created on a very tight budget, and features Taylor with two male dancers wearing open denim vests exposing their six packs. Taylor has a typically 80 hair style with crimps and a very loose and messy spiral perm. However, Taylor had a further three Top 40 hits during the 1990's. In the U.S. she achieved success with nine top 40 singles between 1987 and 1993, seven of these reaching the top ten. In 2008, Taylor Dayne released her fifth studio album entitled Satisfied. Unfortunately, it wasn't a commercial success, stalling at a miserly #179 in the U.S. album charts. In 2013, Taylor released the compilation album Playlist: The Very Best of Taylor Dayne.